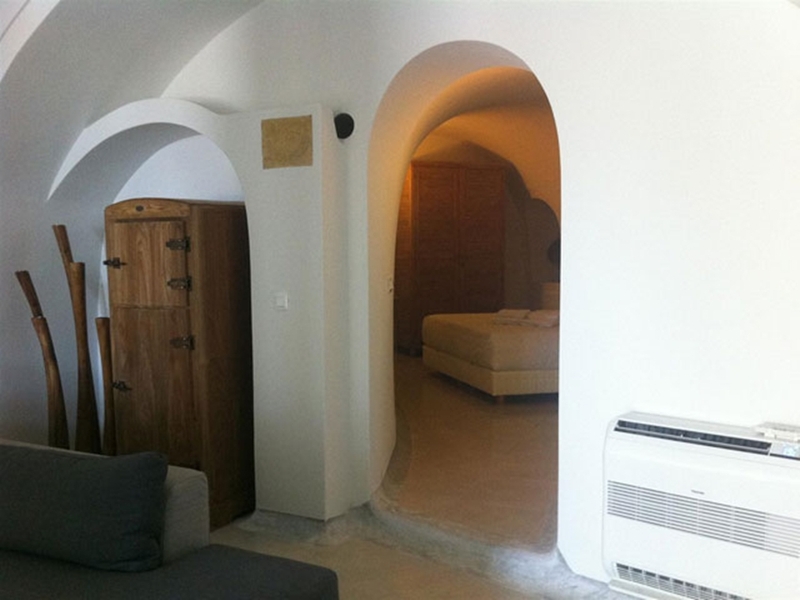 Native Eco Villa can be rented for 8 people or in two units with the upper level or lower level for 4 guests each section. 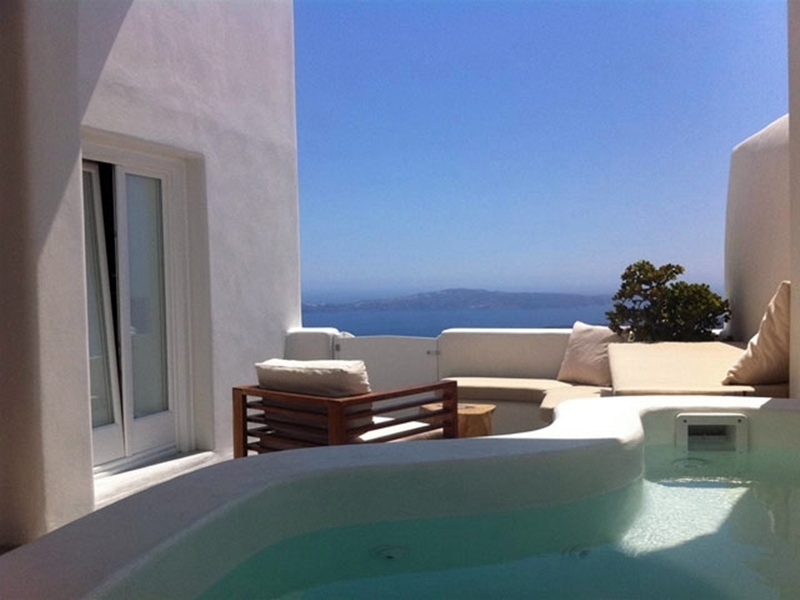 Native Eco Villa is a luxury 4 bedroomed villa built over 2 floors with front line caldera views in the area of Imerovigli. 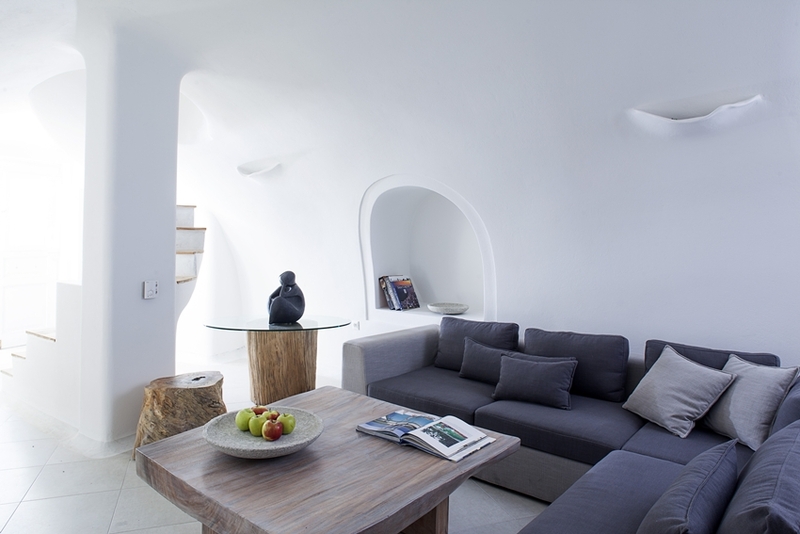 The property was the first on the island to gain the “Green Key” status for the ecological way that it has been designed and built. 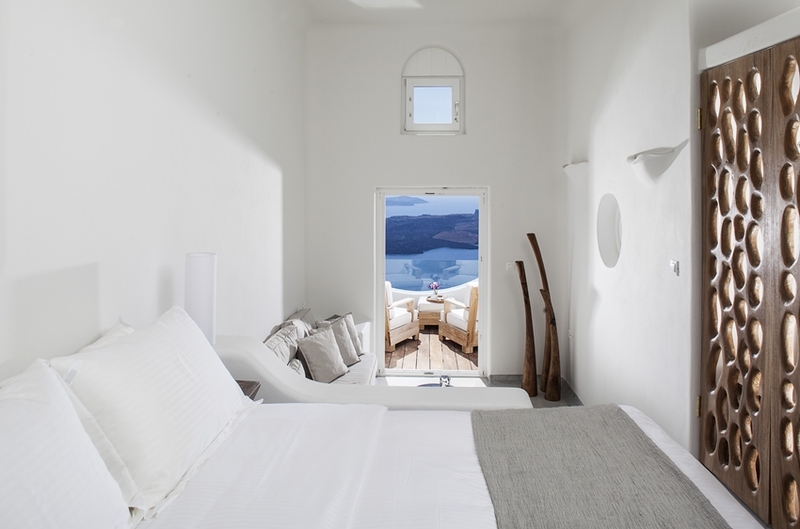 The house blends in beautifully with the natural environment and offers amazing views of the Caldera with its spectacular sunsets. 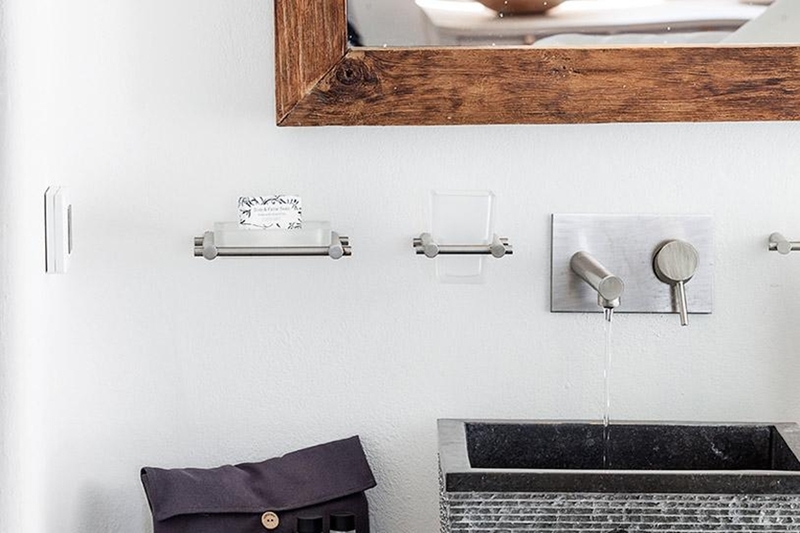 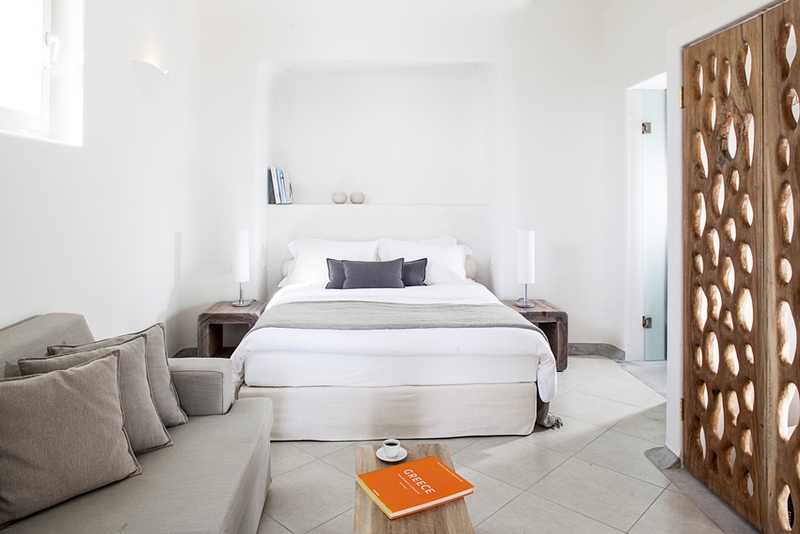 Each floor offers a comfortable lounge, two bedrooms, two bathrooms, a kitchen, and a private outdoor Jacuzzi. 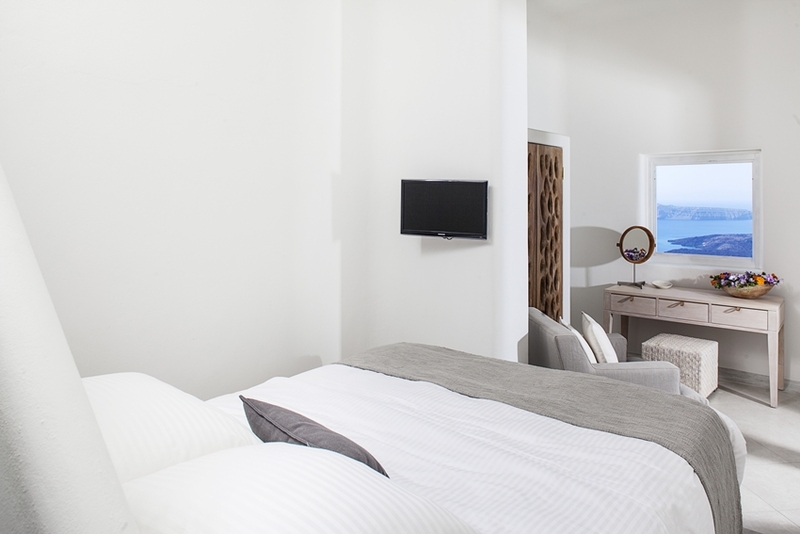 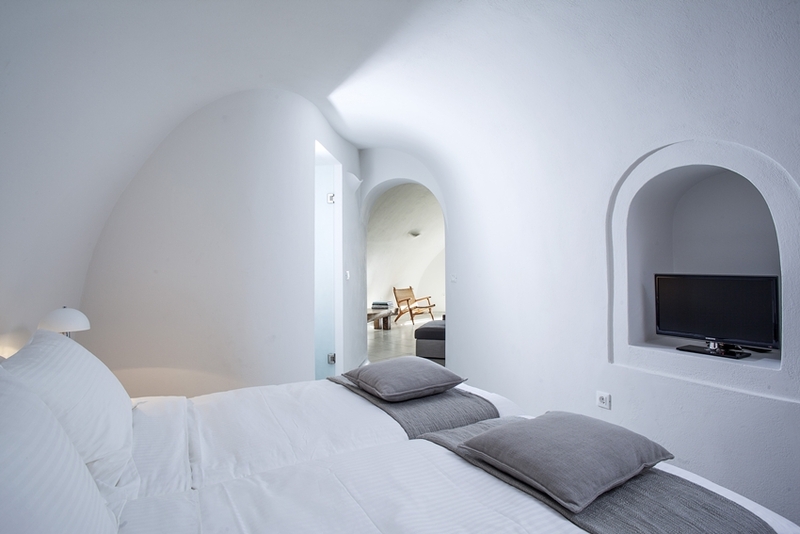 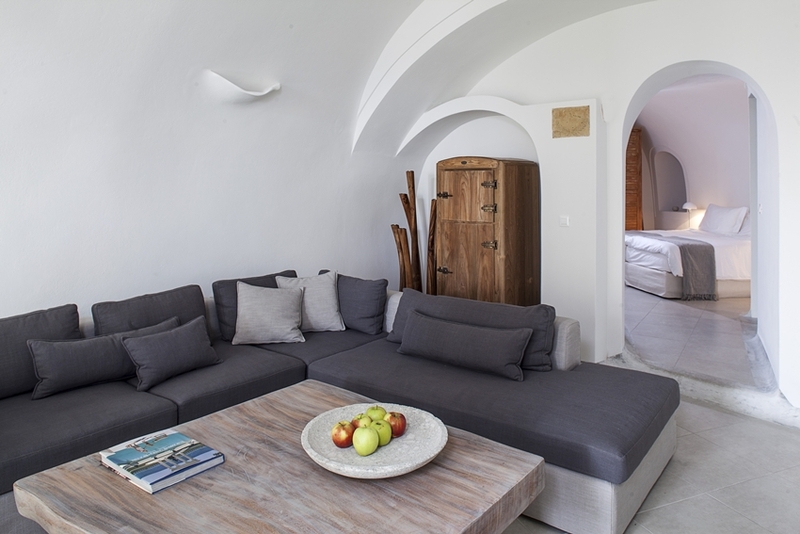 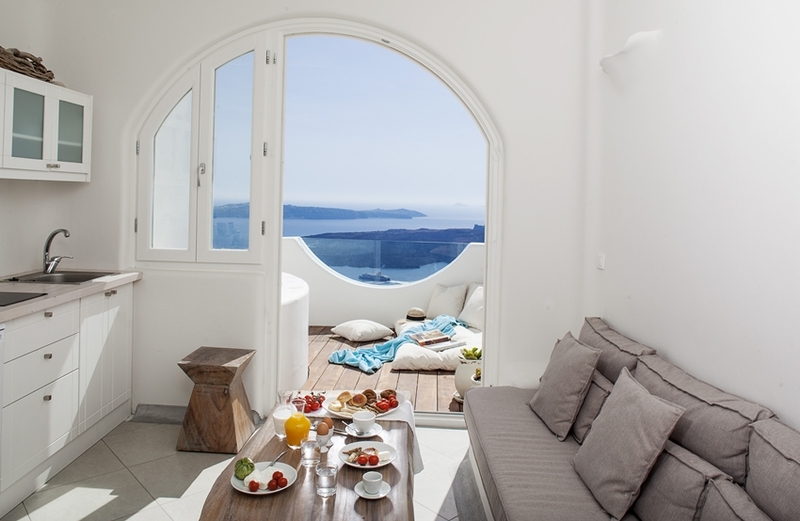 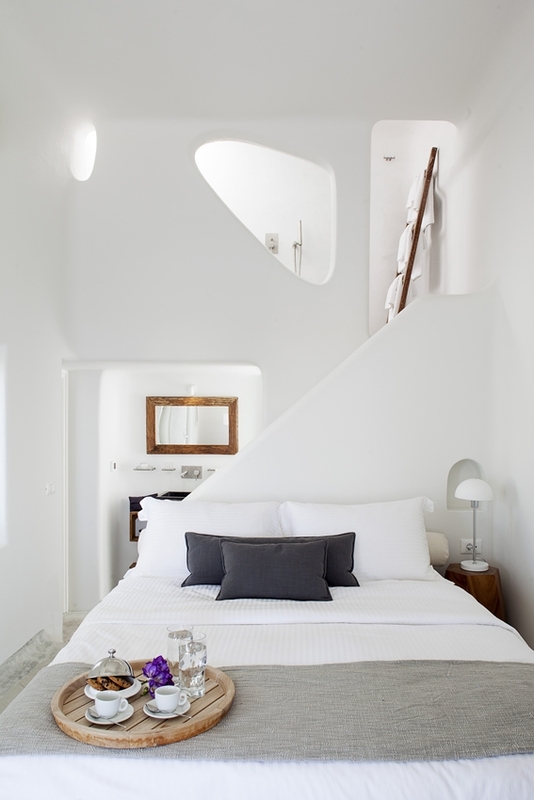 They are furnished to a high standard in typical Cycladic style and from 3 of the 4 bedrooms volcano views are possible direct from the bed as you awake each morning. 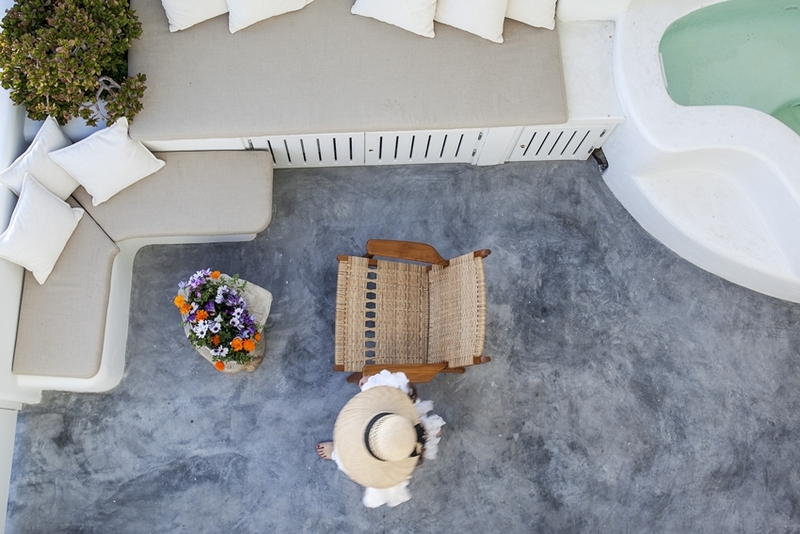 The upper floor terrace is split into 2 levels with one section equipped with jacuzzi and a lounge bed, the next level offers a teak table with 2 chairs. 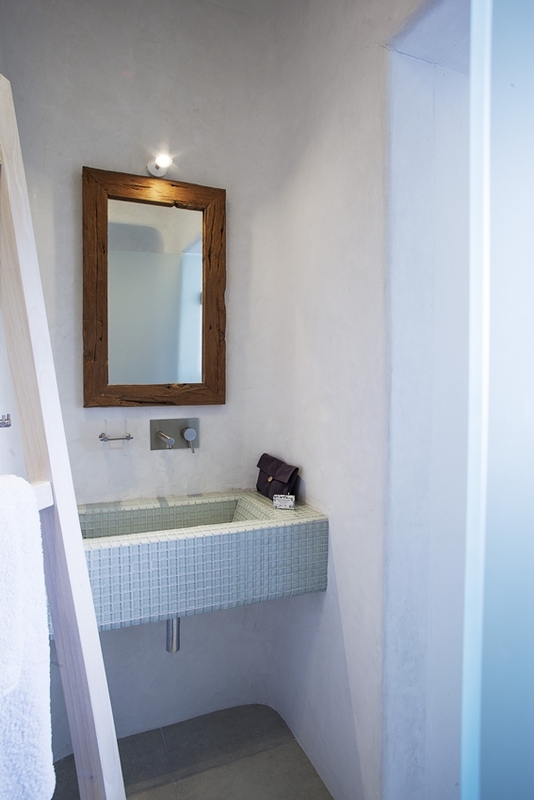 Throughout the upper floor balcony levels, the flooring is made with a beautiful deck of high-quality teak wood. 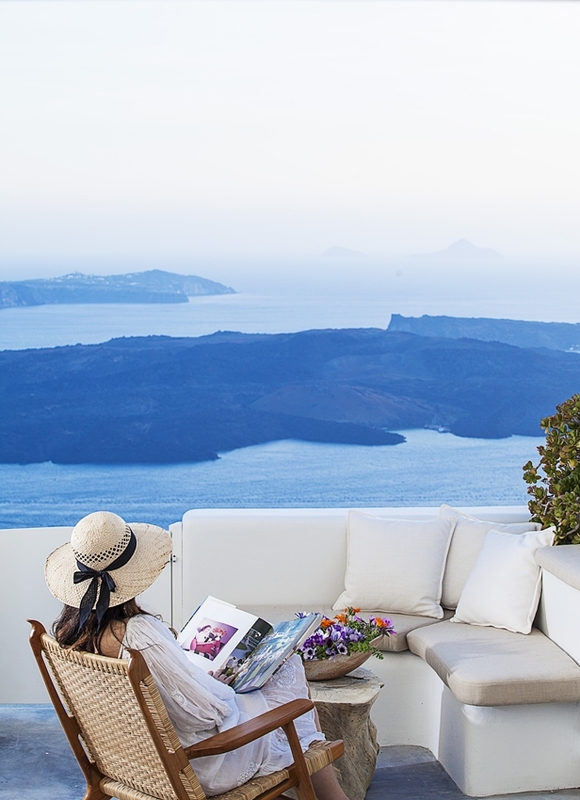 The lower floor terrace also with outstanding caldera views offers a built-in sofa, a lounge chair and coffee table plus 6 unique style teak and leather folding chairs for guests comfort. 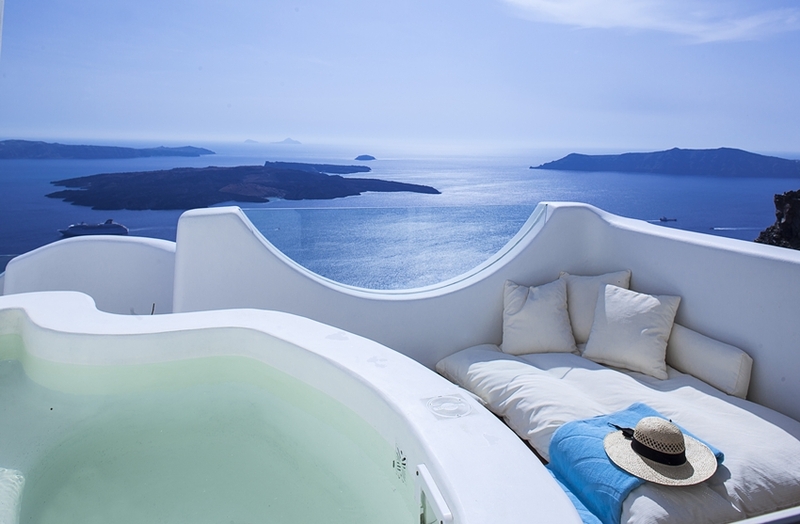 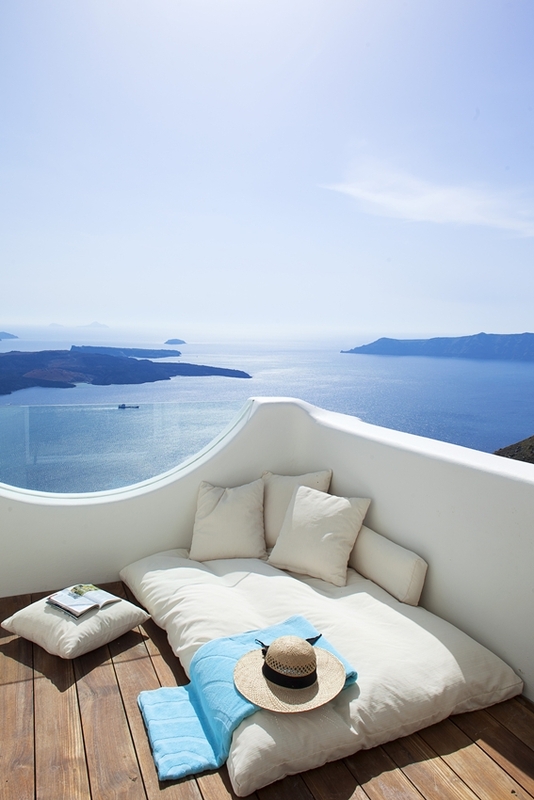 Also in this area is the private jacuzzi which offers the same amazing views.